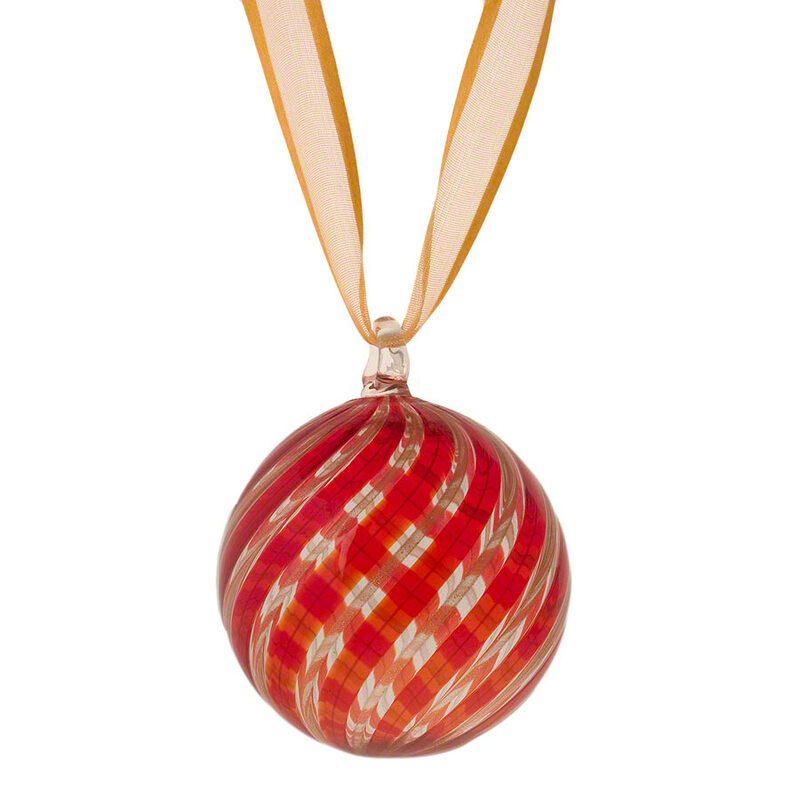 Beautiful, colorful translucent stripes of aventurina and red Murano glass twist around to create these wonderful looking hanging ornaments. An attractive "light catcher" in the window, and during Christmas, a colorful tree decoration. Handmade in Murano, each ornament is approximately 2 1/2 inches in diameter and 3 inches tall, though size may vary due to the nature of handmade glass.